Members of the Workers Compensation Board of Review Nominating Committee are accepting applications for a Board of Review opening. 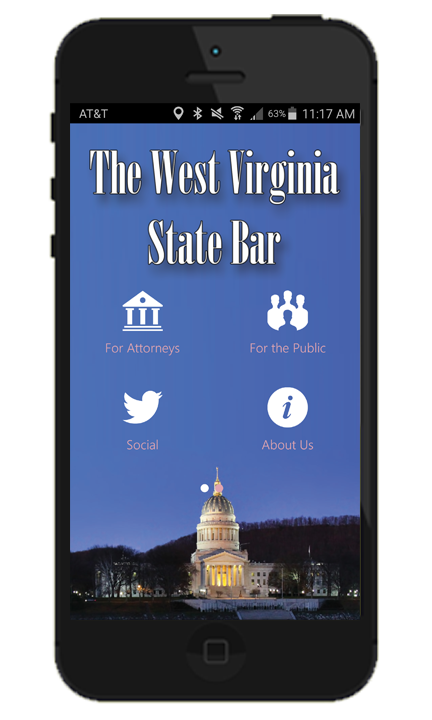 Applications should be sent to Anita R. Casey, Executive Director, West Virginia State Bar, 2000 Deitrick Boulevard, Charleston, West Virginia 25311 or to caseya@wvbar.org. Applications must be RECEIVED by NOON on Wednesday, November 22, 2017. To review the legal authority, purpose, seat restrictions, compensation and other information on the Board of Review click here. The Supreme Court of Appeals of West Virginia has a unique employment opportunity, available immediately – Associate Administrative Counsel. The position reports directly to the Court’s Administrative Counsel and, under their direction, provides legal guidance to the Administrative Director of the Courts on all issues managed by the Administrative Office, including employment issues, contract issues, policy and procedural matters, management of outside counsel, and other legal tasks consistent with the management and administration of a 1400-employee entity. For more information click here and here. The Supreme Court of Appeals of West Virginia has a distinctive employment opportunity, available immediately — Deputy Clerk of Court. The position reports directly to the Clerk of Court of the Supreme Court of Appeals of West Virginia and is an integral part of the Office of the Clerk of Court. The Deputy Clerk assists the Clerk of Court with various aspects of court operations, including opinion and order processing, case management, and the effective use of information technology. The Deputy Clerk also assists in the supervision of employees within the Office of the Clerk of Court, provides guidance and direction to the public and members of the Bar, and renders legal analysis with regard to court rules, lawyer admission and disciplinary matters, as well as other duties as assigned by the Clerk. Click here for more information. The Judicial Vacancy Advisory Commission is currently receiving applications to fill the judicial vacancy on the First Family Court Circuit serving Ohio, Brooke, and Hancock Counties. Candidates must submit their completed applications by no later than 5:00 p.m. on Monday, November 20, 2017. The deadline for submittal of letters of recommendation or comment is Tuesday, November 28, 2017. Applications and instructions are available at www.governor.wv.gov. For more information about the application process, please call Manda Bickoff at 304-558-2000. Interviews will be held in Charleston on Wednesday, December 13, 2017. The State Bar has completed development of a new and improved IOLTA reporting system. This new system allows banks and attorneys to easily report and track IOLTA information. *Note for attorneys: the system will be fully implemented with the next two week; please check your IOLTA information on the member portal at mywvbar.org to ensure that all IOLTA information is complete and accurate. When the State Bar receives notice about a courthouse or the Supreme Court being closed, a notice will be sent to you by email or text message, based upon the request you have made. We have added a feature which allows you to select the counties for which you want to receive notice. If you would like to sign up for specific county notifications, please go to https://www.mywvbar.org/members/profile to update your “Supreme Court Notifications”. The National Task Force Report and Recommendations are currently under review by The WV State Bar, The Court and WVJLAP to determine how best to proceed with the implementation of steps to facilitate a cultural shift within the legal profession (from law school to large firms and everything in between, including secured leave rules, CLE rules, lawyer discipline and other items). To be a good lawyer, one has to be a healthy lawyer. The Report reveals that too many lawyers are experiencing chronic stress, high rates of depression and substance abuse. These findings are incompatible with a sustainable legal practice, raising troubling implications for many members of the legal profession. For more information click here. Location: Bowles, Rice office in Martinsburg and broadcast statewide via video conference.